Lions of Belle Fourche: Almost like being there - Read our minutes! The Pancake Feed will be this Sunday, March 31st from 8 a.m. till 1 p.m. Lion Nary said there will be a need for volunteers as Lion’s F. Walton and Livingston have sold over $1500 worth of tickets! A signup sheet was passed around. · The Soup and Pie, now called Soup and Sandwich, has been rescheduled due to weather. It will be held at Roosevelt on April 13th from 11-2. Volunteers are needed. · There was no update for the Fire and Iron meal. · There was no update on the 4th of July parade. Deadline to enter is June 15th. 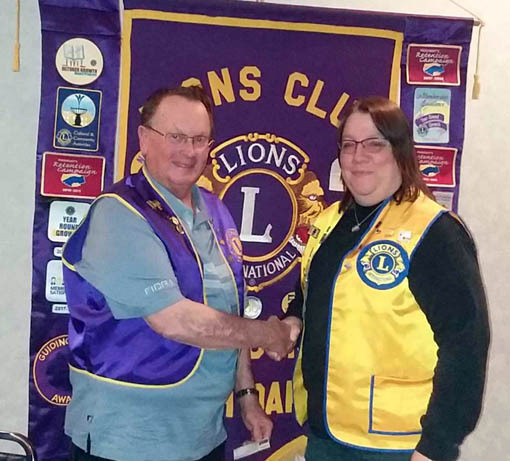 · A Nominating Committee has been made to nominate people for Lions Director (2year) and 2nd Vice President. · Kindergarten roundup will be at North Park school on April 23rd. There will be a sign-up sheet at the next meeting. · Bills were presented to the club to pay. 2 hearing aids: motion by Lion R. Walton to pay, 2nd by Lion Floyd; motion carried. Chamber dues are due: motion to pay by Lion Ensz, 2nd by Lion R. Walton; motion carried. Lion Scheller stated that we are blessed to live in the United States as if we make $40,000 a year we are better off than 99% of the rest of the world’s population. He then spoke about LCIF and its impact. For every $1 donated $1.80 is received back. LCIF provided a matching grant for the 2 KID’S SIGHT vans that are in South Dakota. He then stated that 25,000 people die of preventable causes every day and that 17,000 are under the age of 6. Lions Clubs International have reduced that number by the things we do. 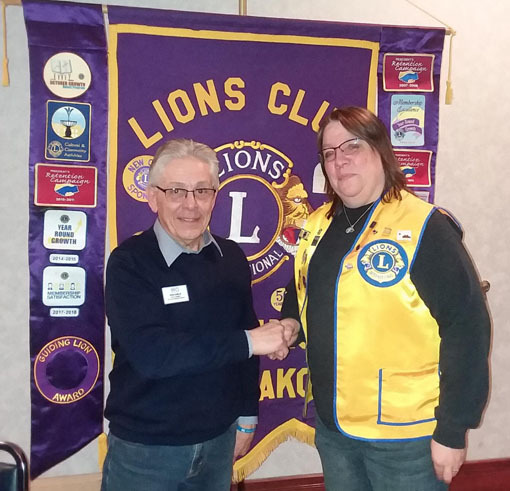 Lion Scheller observed that Lions provide support with clean water, we support cancer research, we support diabetes prevention and we have an objective to raise $300 million from clubs worldwide. Lion Scheller challenged us to give a mere .27+ a day to LCIF to achieve this goal. Break for meal with a blessing by Lion D. Neumeister. for her membership work from PDG Scheller. Awards were presented to Lions Cooper and Lion Zupan for bringing in new members. Thank you Lions! Lion Nary stated that the All Car Rally would be held in Herrmann Park again this year. It is scheduled for June 15th. We are advised that we are “supposed” to be the only major food vendor for this event. The 50/50 drawing was won by Lion Zupan. She donated the winnings back to the club; thank you Lion Melody. Lion R. Walton made a motion to adjourn the meeting, 2nd by Lion F. Walton; motion carried. The next meeting will be April 11, 2019. NOTE: These draft minutes were created by Lion Del Neumeister for the March 28th meeting. Since then, the annual Lions Pancake Feed has been conducted. Treasurer Rich Drabek reports that our total income amounted to $2,827. Our net can be determined after all expenses are paid. MANY THANKS to Lion members who participated in this important event!